Hey friends! 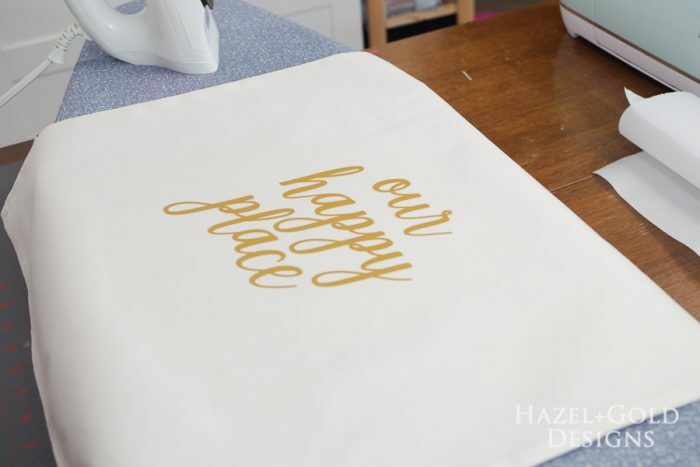 I’m sure you can tell if you read often, but I absolutely love crafting with vinyl products. 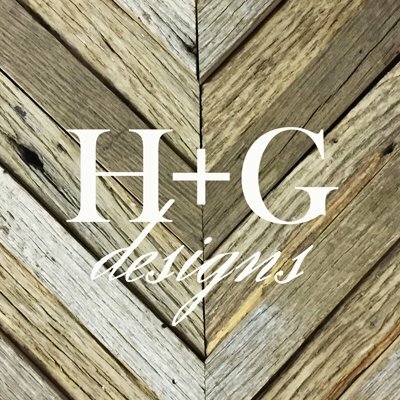 I’ve tried quite a few brands over the years and want to share my experience, so if you ever have questions, feel free to email me any time! 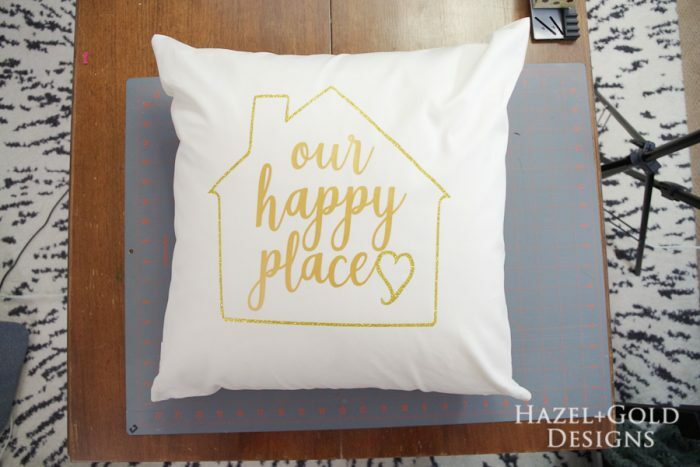 Today I’m going to share a tutorial for this awesome “Our Happy Place” Pillow that I made for my living room. 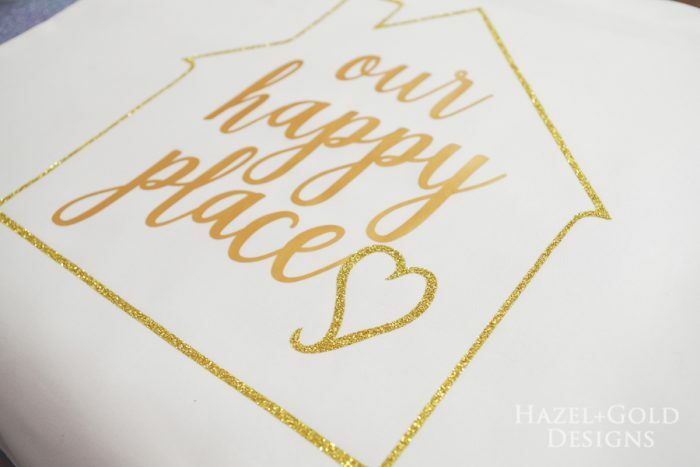 Home is definitely my happy place. This post is sponsored by Craftables. All opinions and experiences are my own! 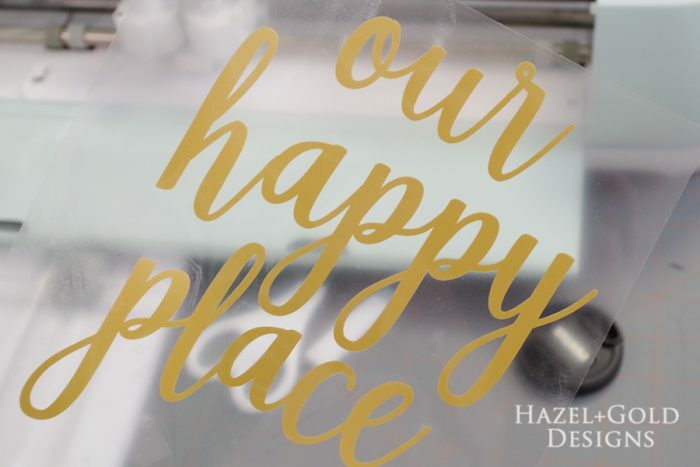 I also used free product from Cricut for this project. 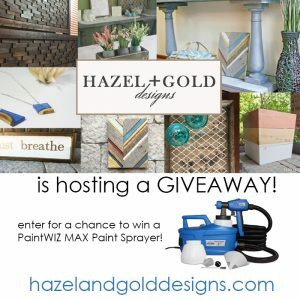 There are affiliate thinks throughout this post, which means if you click and buy through them I get a small commission at no extra cost to you. For more information on sponsored content, please see my Disclosures page. 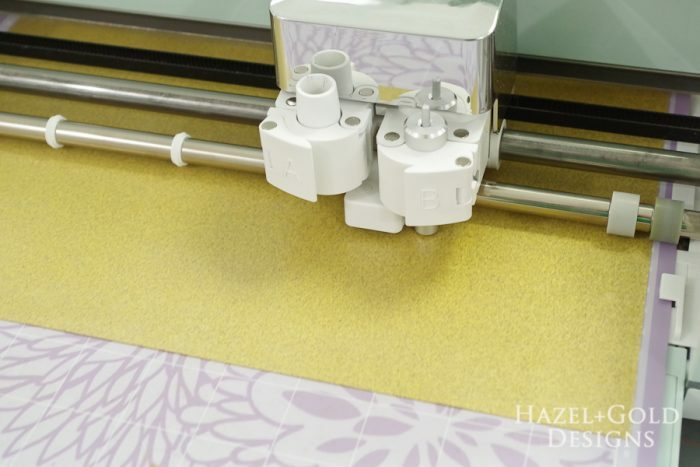 The first step is to come up with your design. 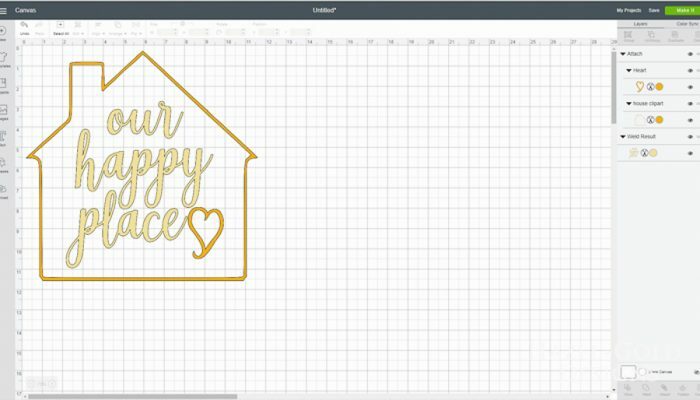 I used a free clipart of a house that I found online and I uploaded it into my Cricut Design Space™ . 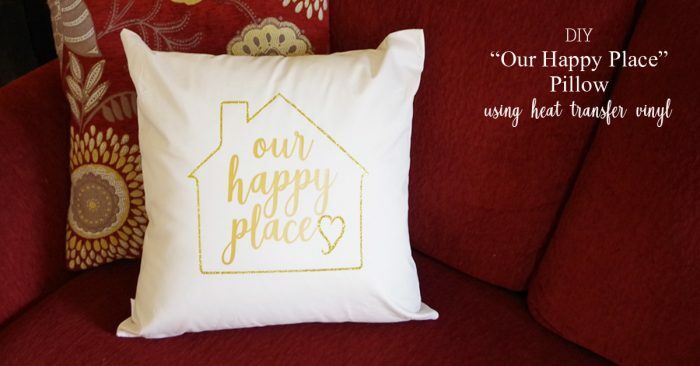 I then used a heart image from Cricut Design Space™ and a font from my computer to type out “our happy place”. 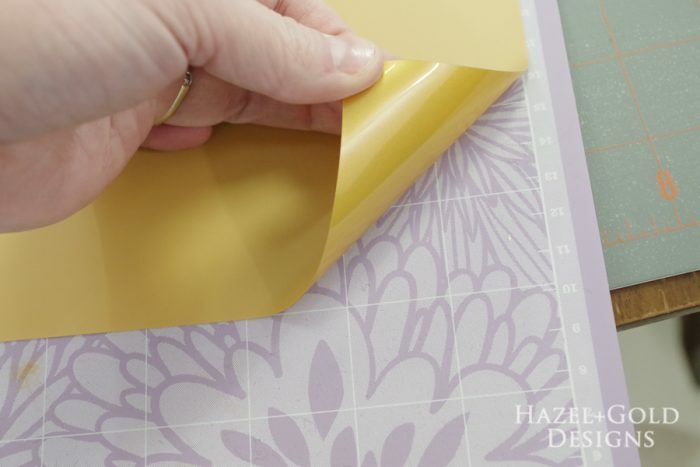 Measure your pillow cover to know how big you want the design to be. 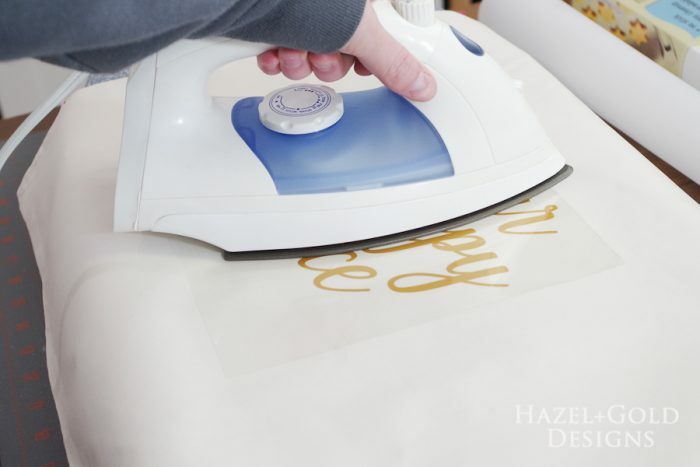 Cutting Heat Transfer Vinyl (aka HTV) is a little different than your typical vinyl cut. 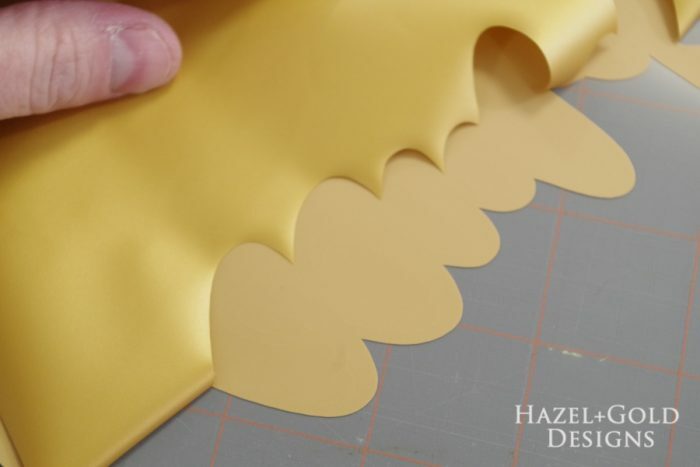 When you’re ready to make your design, you’ll end up at this stage of the cutting process. You can see I have two mats to cut because I’m using two different materials. On the left side you’ll need to click on the slider button next to “mirror”. 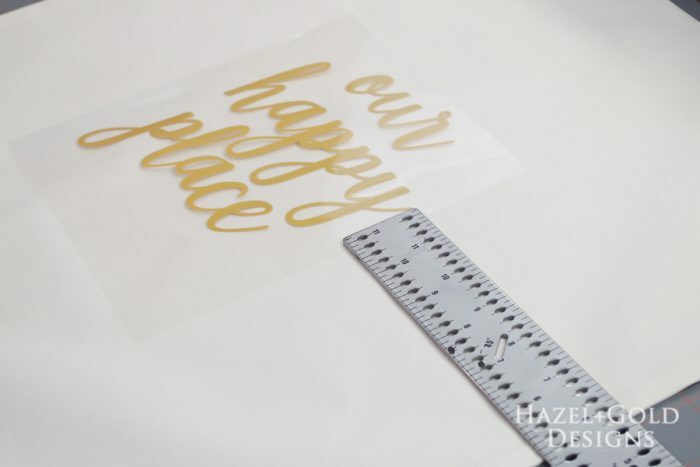 The HTV comes on a transfer sheet already, so you basically cut it from the backside and it needs to be mirrored. Do not skip this step! Here we have Mirror selected and you can see it just flipped the images. Super easy, but super crucial. 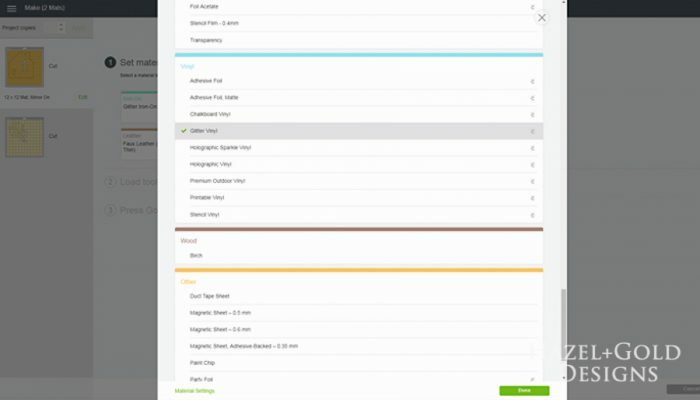 Next, you’ll need to select the material you are cutting. The knob on your machine needs to be set to “Custom”. I selected Glitter Vinyl and it worked well. If you aren’t sure, always cut a test piece. 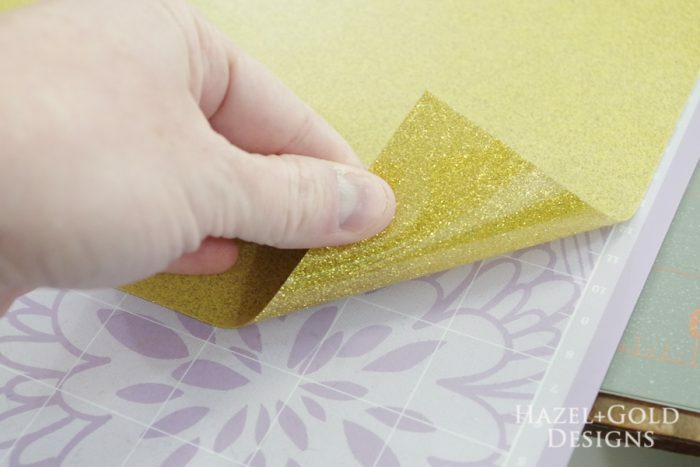 Place your glitter HTV on your mat shiny side down. Remove the vinyl from the mat. The easiest way is to place it upside down and peel the mat back while holding the vinyl to the table. 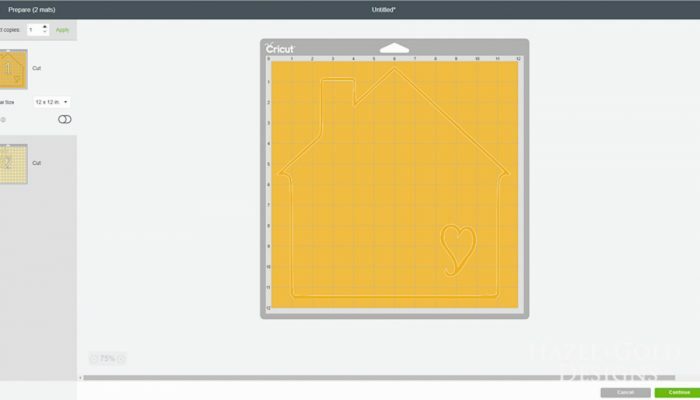 Cut the second section of your design. 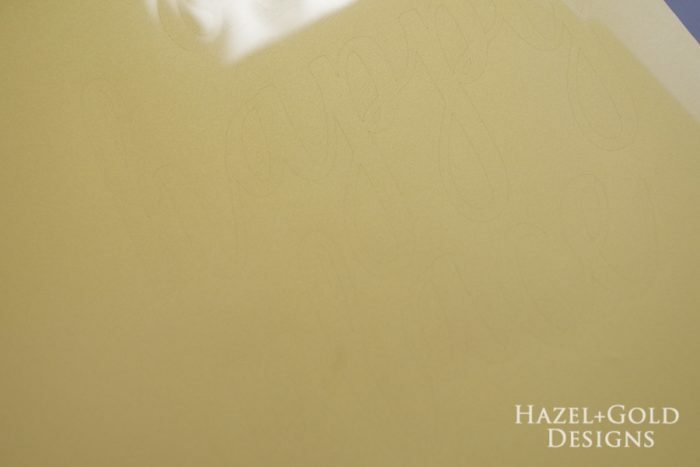 This time with gold HTV . Again, place on mat shiny side down. Carefully weed (remove) all the excess vinyl from the words and design. 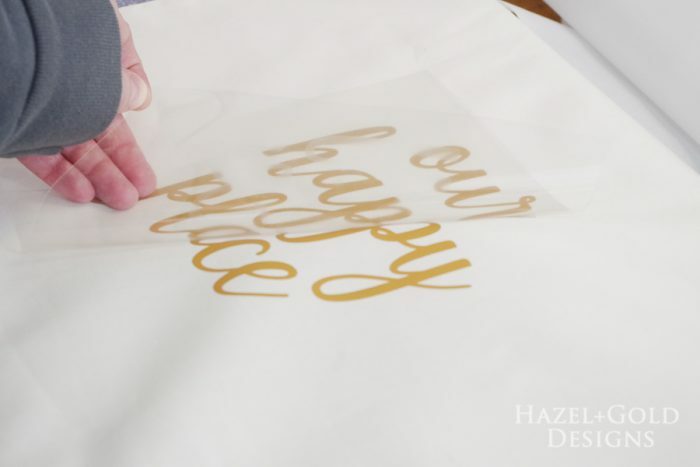 You’ll end up with your wording on a clear plastic sheet…. 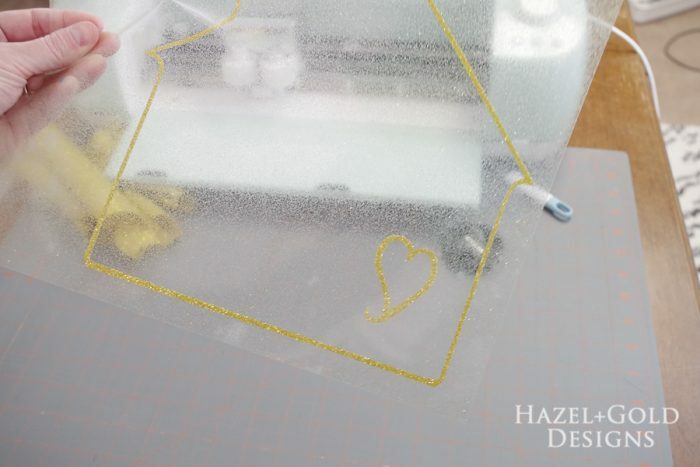 And your house image on another clear plastic sheet. 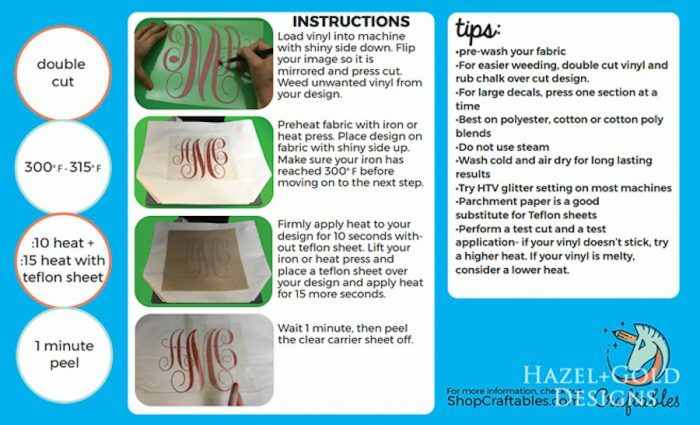 Here are the instructions straight from Craftables. I followed them exactly and it work perfectly. 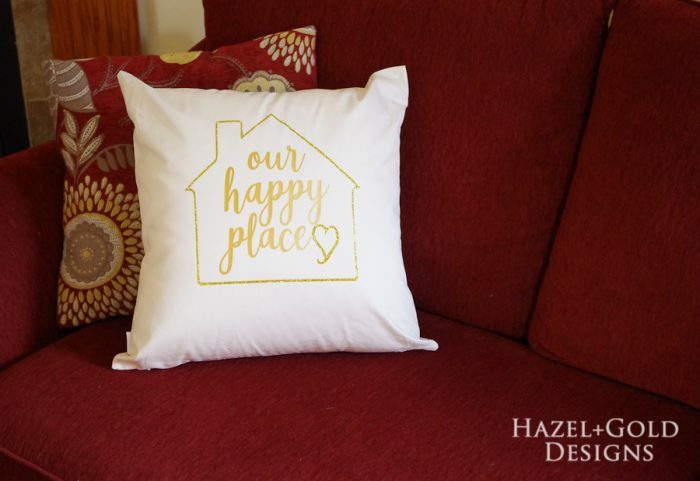 Center your design on your pillow cover . Iron for 10 seconds. 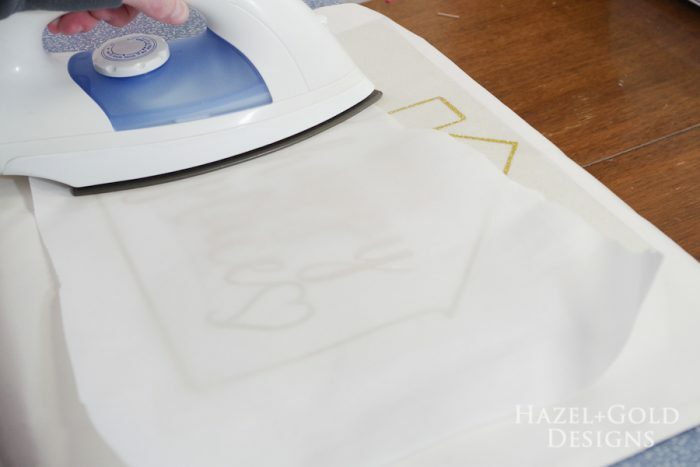 If you have a small iron like I do, you will need to do this in sections being sure to cover everything. 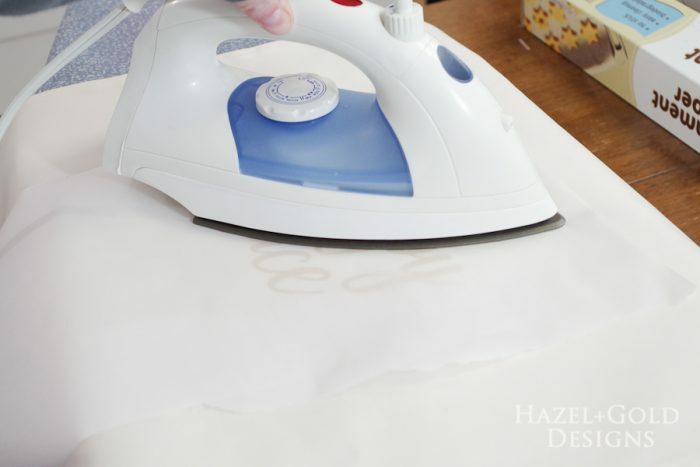 Cover with parchment paper or teflon sheet and iron the entire thing again for 15 seconds. First part is done! Now onto the second part. 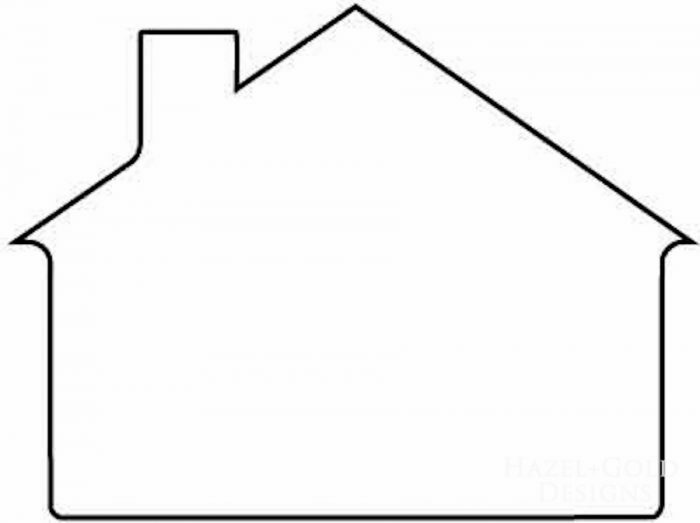 Place your house image on top of the wording. Make sure it’s all centered. Iron the same way, 10 seconds over just the plastic sheet, then over parchment paper for 15 more seconds. 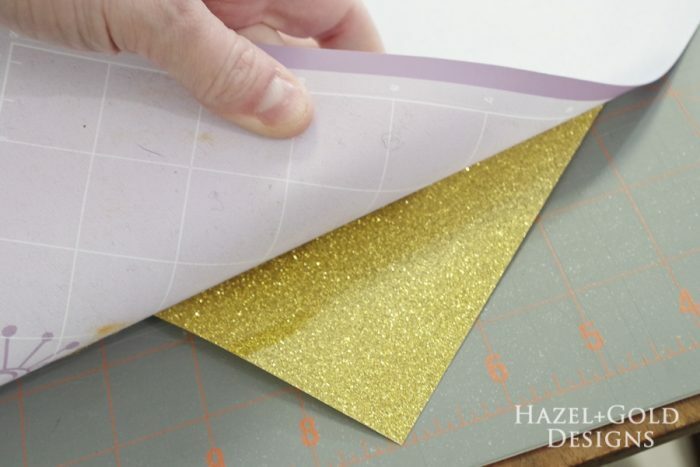 This time, because it is glitter HTV, wait 1 whole minute before removing the plastic sheeting. And there you have it! 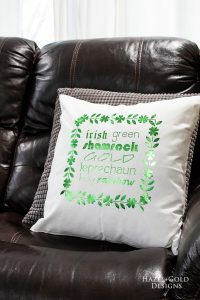 A beautiful image ironed onto your pillow cover. Stuff the cover with the pillow insert and you’re done! I hope you love this project. If so, please SHARE. It really helps me out! 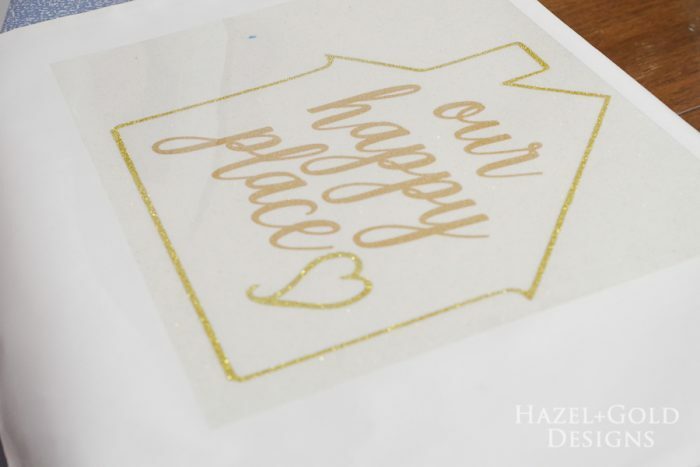 And a huge thanks for Craftables and Cricut for having awesome products so we can make great things for our homes! 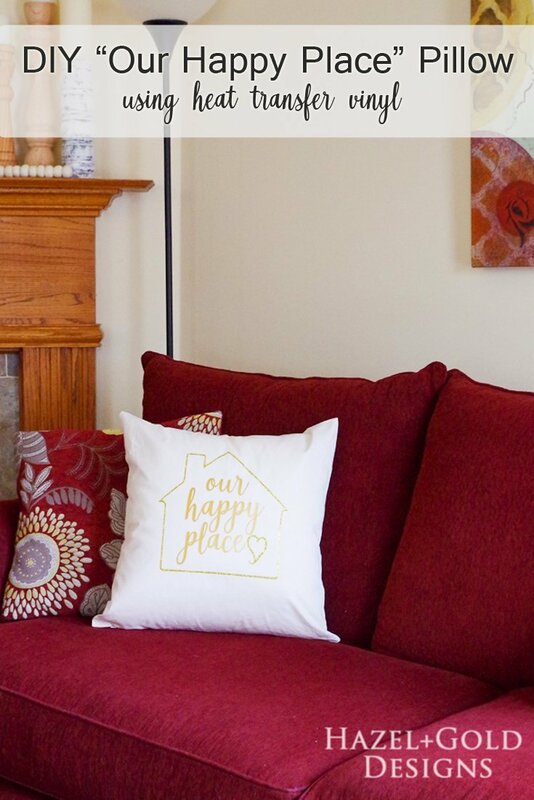 What a perfect pillow for any home. Featuring when my party opens up tonight! 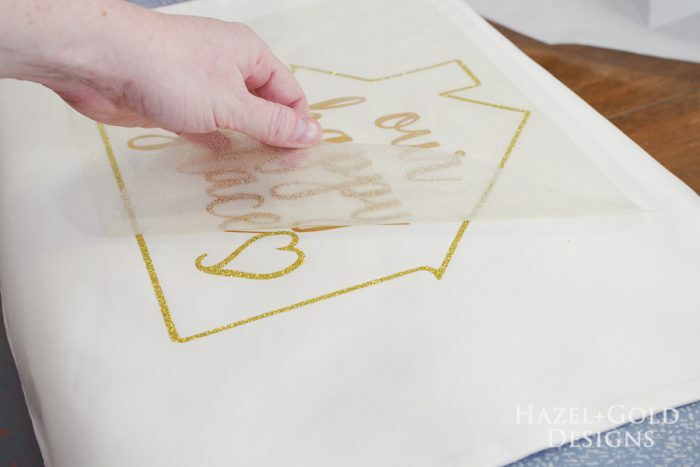 So lovely Sheri and I adore the gold and glitter Heat Transfer Vinyl you used. We struggle to find it here in South Africa. We can find black and well……. black 😀 I’m hoping that Craftables will ship some here though. Love the gold font! 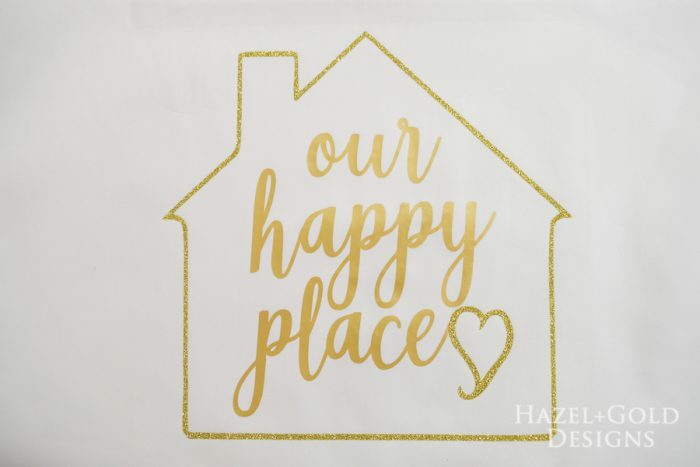 Yes, home is our happy place. Thanks for sharing with SYC. Super cute! 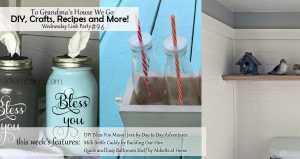 Great housewarming gift idea. 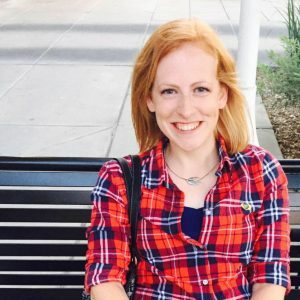 Visiting from Whisk It Wednesday. it’s just lovely! 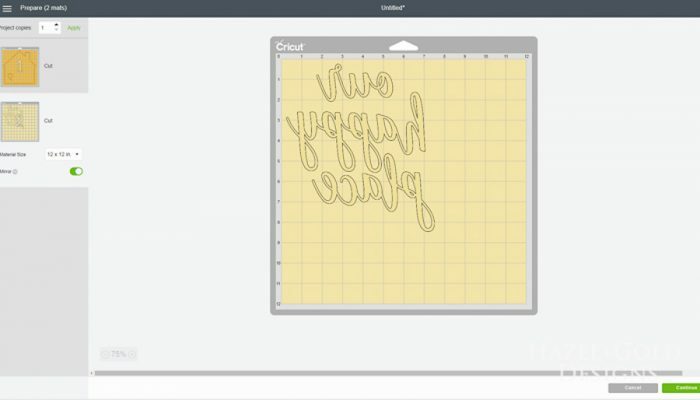 I so need to get myself a Cricut… Thank you for sharing at The Really Crafty Link Party this week. Pinned! This is so sweet. The pillow confirms there is no place like home.